With gentle curves and streamlined designs, the Tempo range is perfect for the modern bathroom. 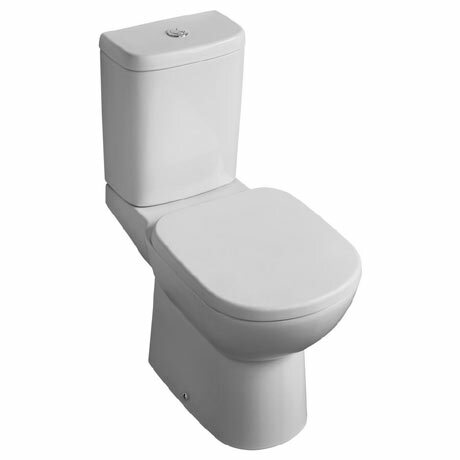 Manufactured from high quality vitreous china, this stylish close coupled toilet features a water efficient cistern that uses a dual flush 6 or 4 litres and comes complete with a chrome flush button and cistern fittings. Comes with the option of a standard or soft close seat. Dimensions: (W)365 x (D)665 x (H)780mm approx.